Superb penthouse with large roof terrace, A/C & free wifi. 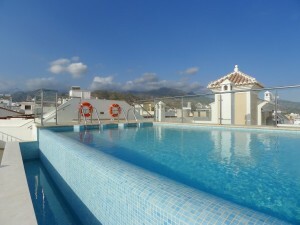 Luxury 2 bedroom holiday apartment in Nerja. Close to the beach & all amenities. La Botica is perfectly located in the centre of Nerja, just 150m from the Balcon de Europa.